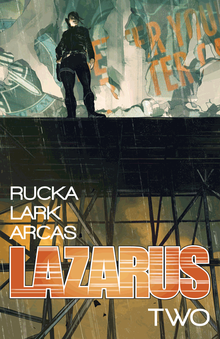 In addition to page/publication design for the monthly issues of Lazarus, Eric is the book designer for the series' collected editions. This prestige hardcover collects the first two arcs of the critically acclaimed and New York Times bestselling series; “Family,” which introduces Forever Carlyle and her Family as they are brought to the brink of war in a future of economic collapse; and “Lift,” where Forever uncovers a terrorist plot against her Family while another family altogether, the Barrets, take desperate measures to escape their life of poverty. PLUS! Never-before-seen work by Michael Lark and series' graphic designer Eric Trautmann, and exclusive world-building content. 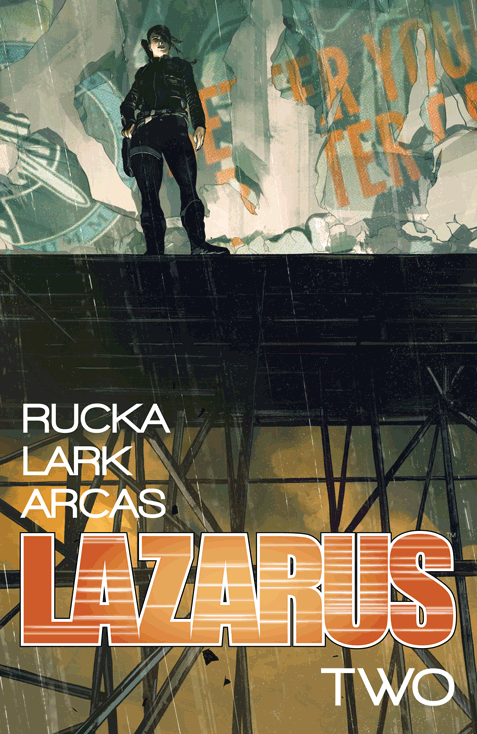 Collects Lazarus #1-9 plus the Lazarus four-page preview (which originally appeared in Diamond Comics' Previews) and additional content including a never-before-published map of the Lazarus world. 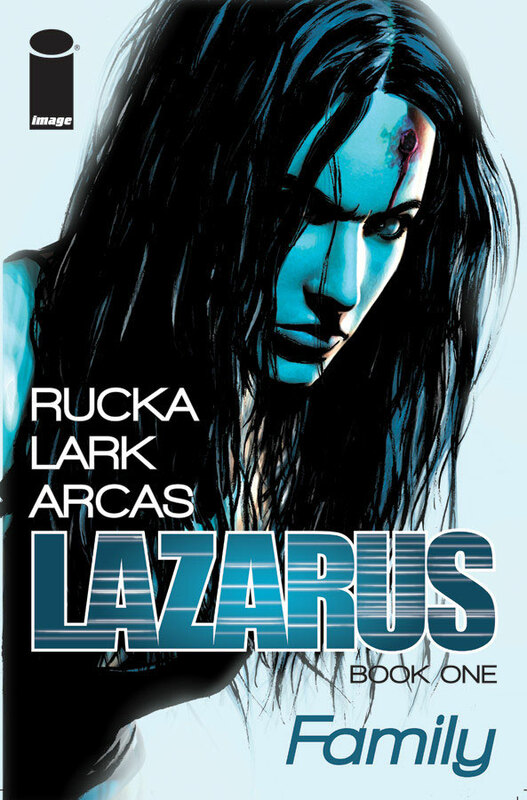 Sixteen Families have gathered together in the exclusive luxury confines of Triton One to resolve the emerging conflict between Carlyle and Hock, and they’ve brought their Lazari with them. Deception and war go hand in hand, culminating in a final revelation that will truly change everything for Forever Carlyle. 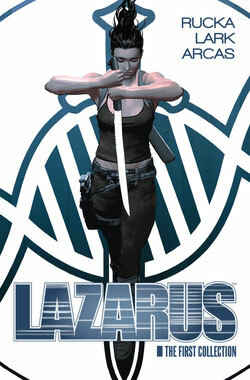 Collects LAZARUS #10-21. While Forever keeps watch on her sister Johanna, she finds hints of rebellion brewing in L.A. At the same time, the Barrets, a family of "Waste," lose their home and land, and must pursue their only chance for a better life—a 500-mile journey to Denver in the hope that one of their family will be noticed by the Carlyles and "lifted" to Serf status. 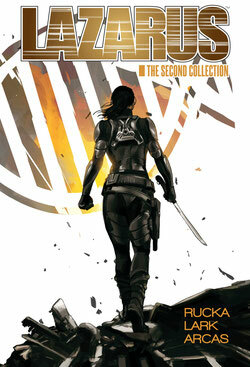 Collecting all five issues of "Lift," the second story arc in the New York Times best-selling series. For the first time since dividing the world, the 16 Families have gathered together again in the exclusive luxury confines of Triton One to resolve the emerging conflict between Family Carlyle and Family Hock, and they've brought their Lazari with them. Amidst budding friendships, romance, and politics, Forever will learn the truth about who she is and the first hints of what she will become. Collects Lazarus #10–15. 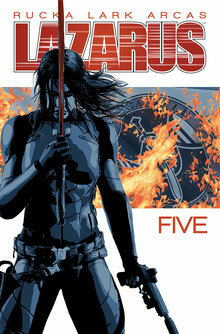 Collecting issues 16-21, “Poison,” the fourth arc in the critically-acclaimed New York Times best-selling series. The world is at war, and Family Carlyle must fight to defend itself. 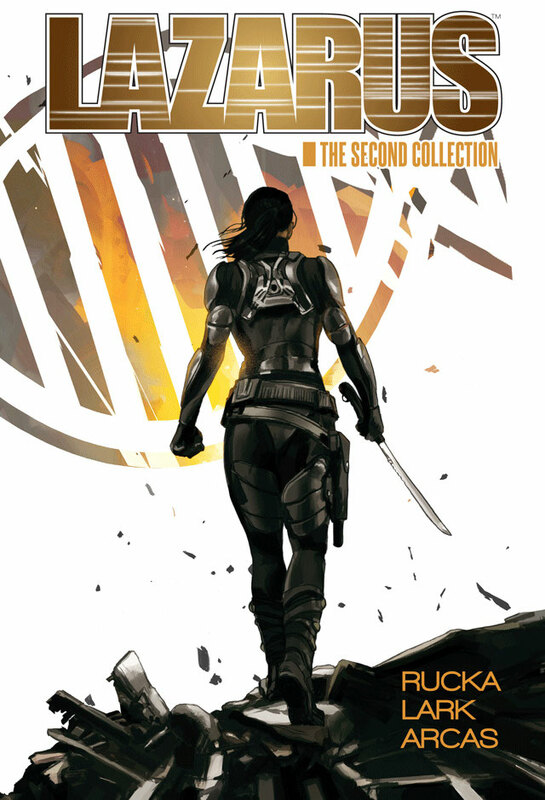 With Malcolm Carlyle hovering at death’s door, the siblings struggle to maintain control. But deception and war go hand in hand, culminating in a final revelation that will truly change everything for Forever Carlyle. 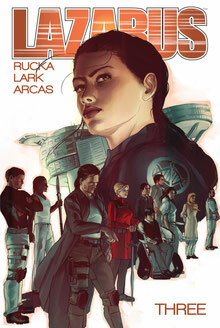 The fifth collection of the critically acclaimed New York Times bestselling series by Eisner winners MICHAEL LARK and GREG RUCKA plunges the Sixteen Families into chaos as the world goes to war. 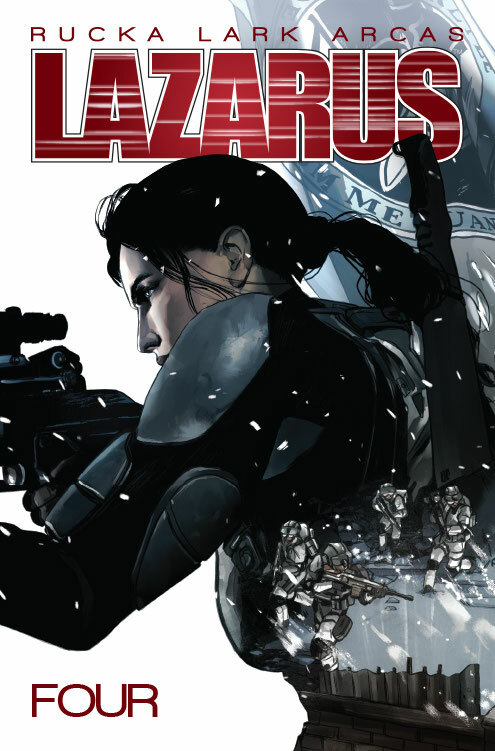 But Forever Carlyle, the Lazarus of the Carlyle Family, has been sidelined, and her loyalties are now in question as she struggles to come to terms with who and what she is. To win her trust, her sister Johanna must reveal the Family’s most closely guarded secret—the truth of Forever Carlyle. 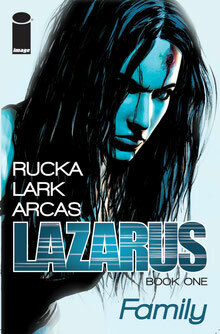 Collects LAZARUS #22-26.